The stately First Christian Church on the corner of Government and Stocking streets is built of sandstone with stained glass and arches that seem created for eternity. But even a house of the Lord was left behind during “white flight.” As the neighborhood changed, the congregation shrank from 600 to 12. In 2012, Lee Hixon, a retiring missionary returning home from the Middle East, was sent to First Christian by a “pulpit supply” service that connects pastors with churches that need help. The church got a passionate preacher who challenged its members to embrace the poor and the homeless. 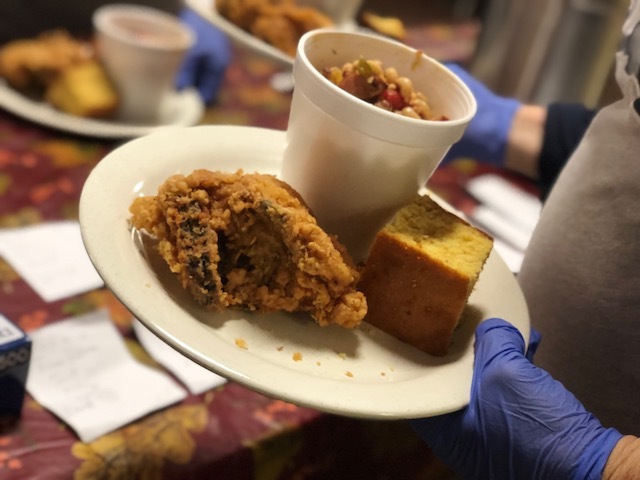 By welcoming those who don’t have money for food, much less the collection plate, First Christian Church found its own salvation. The church that is opening doors today once shut a few of its own. It went from two services and putting chairs in the aisles to a dozen members who could barely pay the bills for the building that stretches a city block. They closed off the wing of Sunday school rooms and the fellowship hall but kept the spirit alive during Sunday worship in the simple white sanctuary where stained glass tells the story of the life of Jesus. 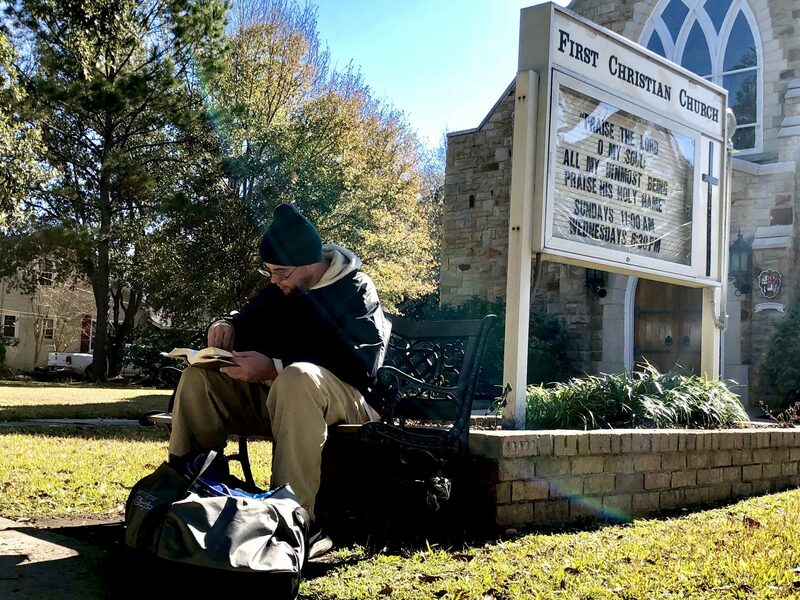 It is tough to be homeless in Mobile and cuts at agencies and organizations are making it even harder for the approximately 500 people who live on the streets (2017 Point in Time Count). Last year, 15 Place closed its day shelter, Waterfront Rescue started charging $10 a night and the Breakfast Club stopped serving breakfast each morning. Services can be cut and money can be saved, but the homeless and their needs are still here. More and more people are coming to First Christian for help. 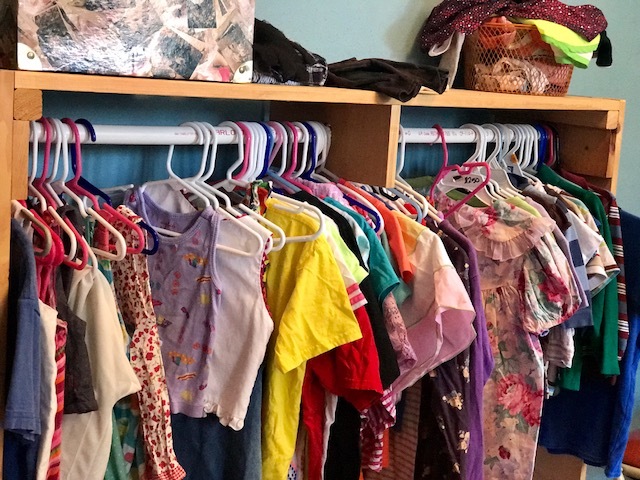 One of the smallest congregations in town is now a refuge for many who struggle with addictions, poverty, abuse or violence. Volunteers say caring for them is right, but it isn’t always easy. Their hearts were recently broken when a regular patron shot and killed her husband. Both had been at lunch the week before. 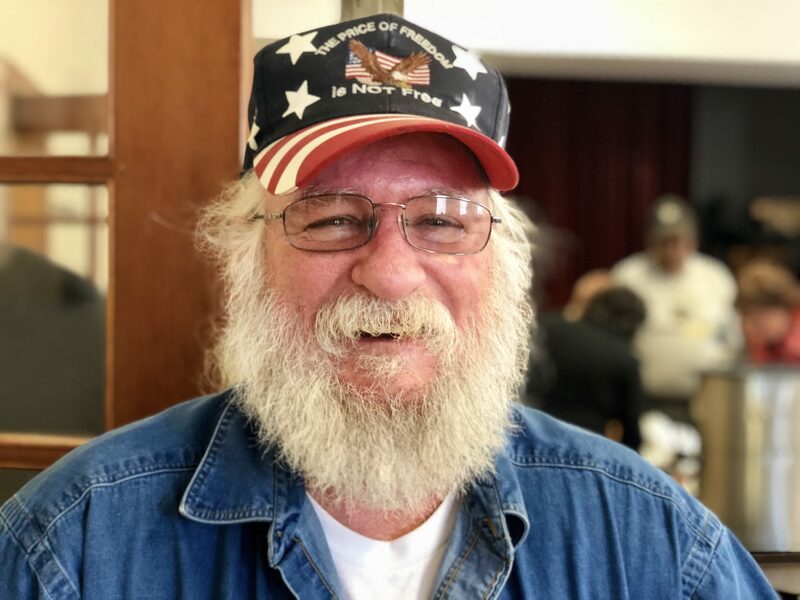 Every Monday, approximately 250 come to First Christian’s Bread of Life Cafe for a warm meal and compassion at a church that installed benches for bus riders at the stop by the church and provides a washer and dryer for its own homeless members. They are hugged and greeted by Hixon his wife Lisa and asked how they are doing. “Everyone has the spark of the divine who created them. We are all in the image of God,” says Hixon. Lunch is served from 11 a.m. to 1 p.m. but people start arriving hours before the doors open. In the beginning, knife fights and arguments broke out as the crowd waited outside. Today, there is order and peace and offers to help. 93-year-old Mary Bell pushes the dessert cart of cookies, cakes and pies every week. She has been a member of the church since she was 13. 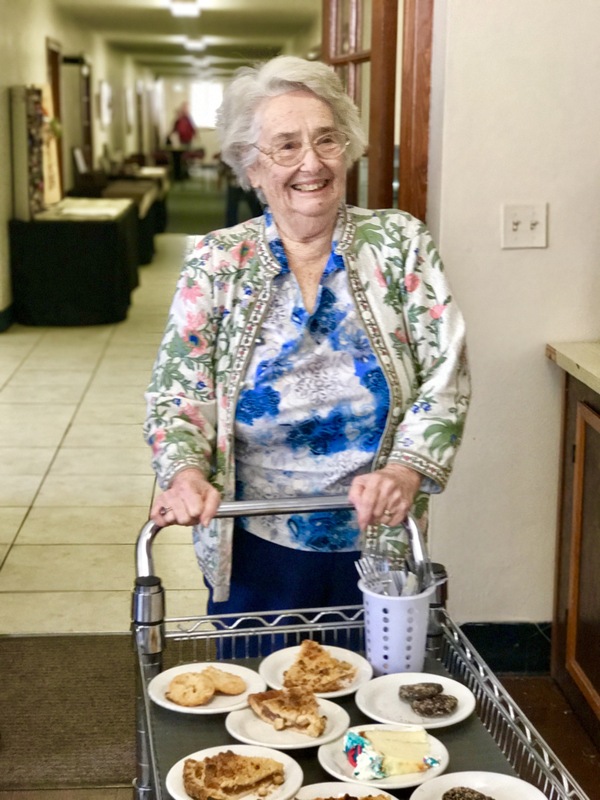 Wearing glitter fingernail polish, 93-year-old Mary Bell pushes the dessert cart of cookies, cakes and pies every week. 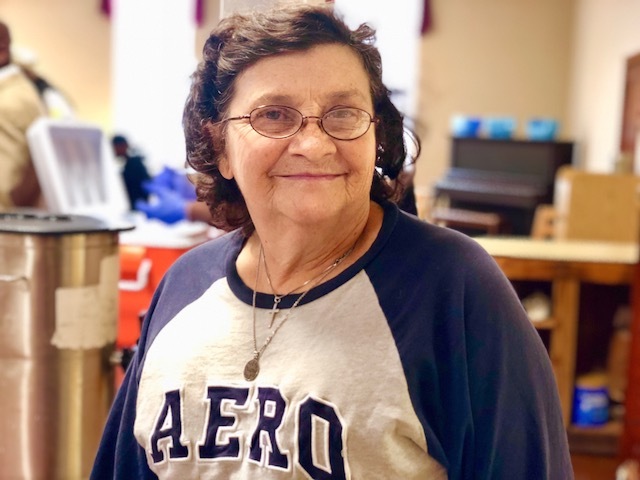 A member of the church since she was 13, Mary Bell remembers when it was just a wood building and members went to the early service so they could be swimming in the Gulf by noon. Most of her friends and family have died, but a picture of her husband, Gerald, hangs in the hall and the fellowship hall is named after him. They met when she sent church newsletters to the servicemen from the church and he asked her to write him. He was serving in the Philippines and they married a month after he returned home. They were married for 67 years. “There is a joke about two little old ladies sitting on the porch and one says ‘Alice we have gotten so old that all of our friends have died and gone to heaven. They are going to think that we didn’t make it.’ I am worried that the people I went to church with think I didn’t make it,” she says. 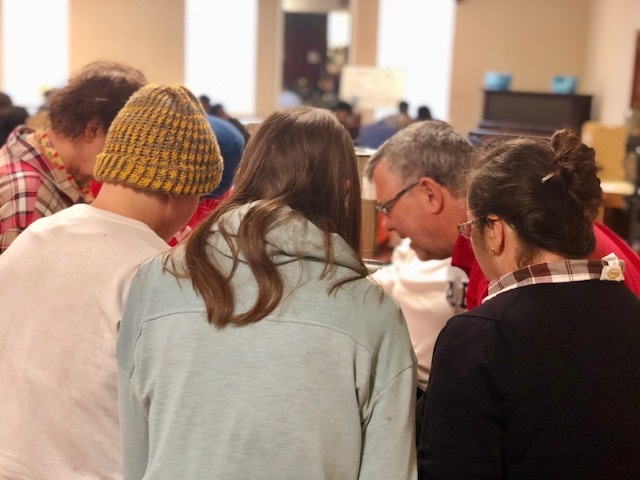 After the tea is poured, the silverware rolled, and the bread pulled from the oven, volunteers hold hands in a circle as Hixon prays for blessings on the servers and the served. Then the doors are opened. Some say food. Some say the Word of God. Lisa sings and a volunteer gives the inspirational word of the day. “No matter what you are going through, Jesus is right there with you. He will help you find the way,” says a police cadet standing behind the podium. 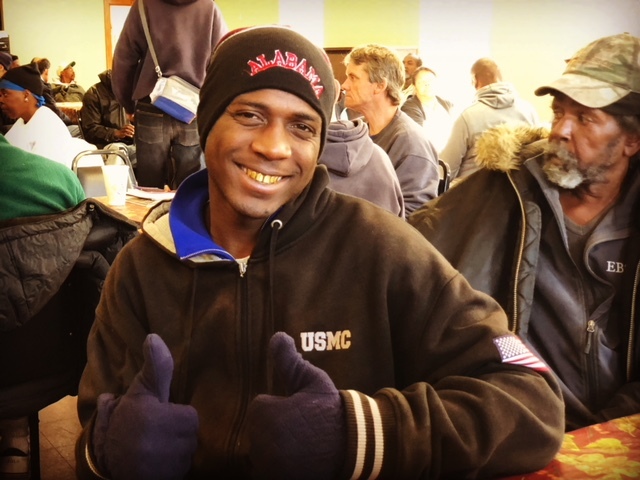 His academy class is serving that day as a service project because they are learning that it is better to get to know people while serving them lunch instead of during a crisis on the street. 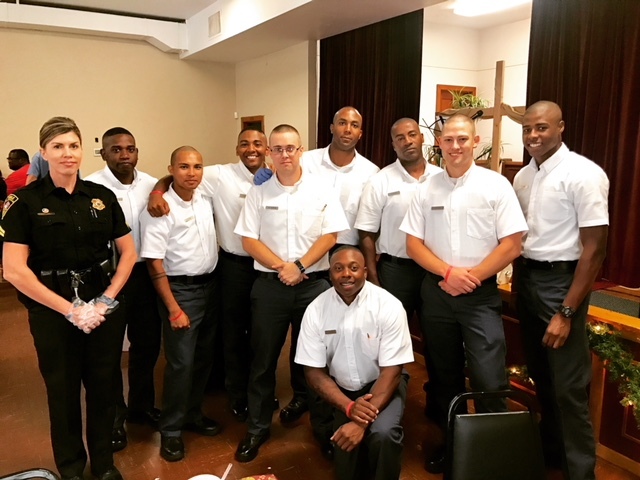 Cadets from the Mobile police academy volunteered at the Bread of Life Cafe to learn that it is better to get to know people while serving them lunch instead of during a crisis on the street. Each person is seated and served by name to encourage interaction. They all have stories. Tiffany sleeps in an abandoned house or on the street and just found out she is pregnant. The rest of her kids live with her stepfather. Roy walked from Oklahoma to Birmingham pushing his belongings strapped to a wheelchair for a job that fell through. He was put on a bus and sent to Mobile. Ashley lives under a bridge and walks two miles to the church because she feels the Spirit and love and found a place where she belongs. A couple is paying too much for a shell of a house and can’t afford utilities or food. A father comes to Lee for comfort because his son was shot by police the night before. “After everything I have done and been through, I am still here,” says Diane. The church proves that change comes through serving, and those who eat are encouraged to volunteer. Hixon even gives bus passes to those who help. 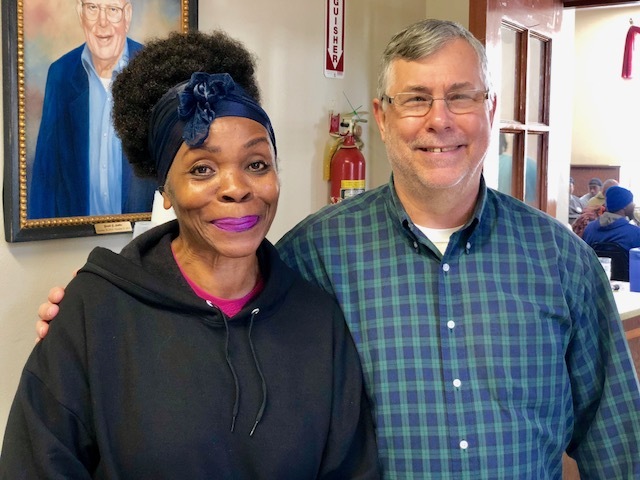 Diane and Rob are best friends and two of the church’s best volunteers. Both came to Bread of Life Cafe when they were homeless and serving at the church helped them get back on their feet. Diane is a fast-talking leader who organizes the delivery of lunches from the kitchen to the table. She once had a master cosmetologist license and started cutting hair outside the church for people who came to eat. She had stage four colon cancer last year and more than 30 percent of her intestines was removed as well as a tumor the size of a lemon behind her left eye. Hired as a maintenance man, he turned his life turned around. The Veterans Administration (VA) provided him a home and is paying for his college degree in electrical engineering. “I had a second chance and I am so thankful for the ones who gave it to me instead of locking me up,” says Rodney. 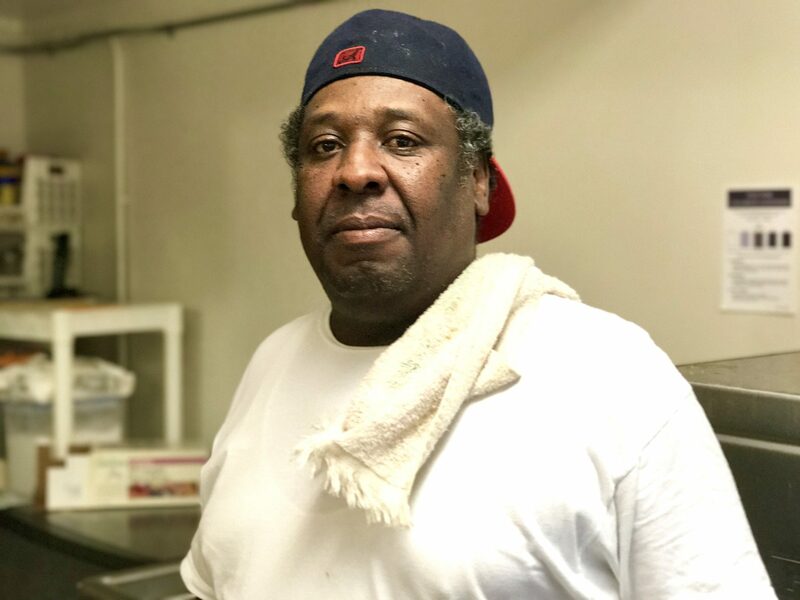 Rodney started working as custodian at the church as part of the Mobile Police Department’s SCORE program (Second Chance Or Else). Uncomfortable and skeptical in the beginning, he tested positive for the first three drug tests but has been clean ever since. The Bread of Life Cafe also comes from a second chance. 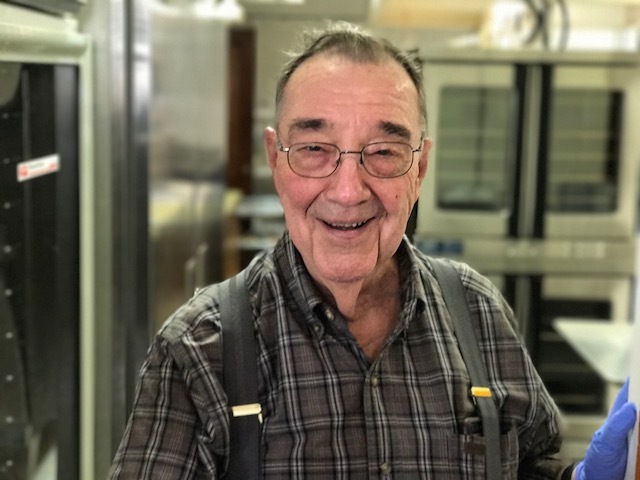 The Monday meals began as a partnership with Ransom Cafe serving 50 barbecue lunches a week but the numbers grew into more than Ransom could handle. As one door closed, another door opened. 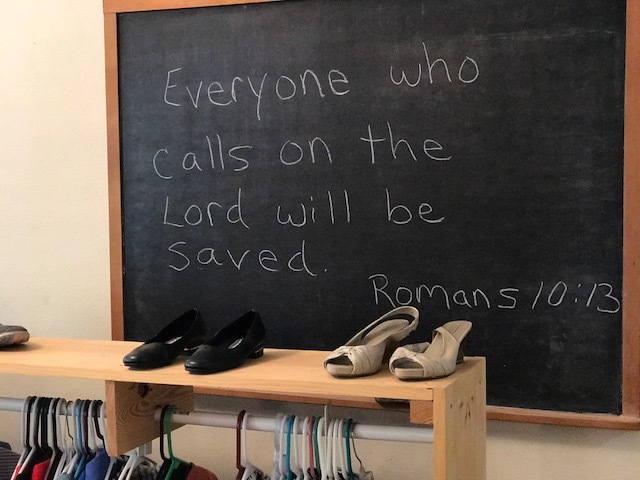 A youth group from Louisiana worked at the church’s first Vacation Bible School and got so involved that they gave all of their spending money, $850, to cover the costs of the week. Other members of the Louisiana church came to Mobile to see how they could help. They replaced the 75-year-old stove and bought an ice-maker. One Louisiana member underwrites the total cost of the meals every week, feeding people he will never see in a place he has never lived. On Sundays, a congregation of forty people in the pews looks sparse in the sanctuary built to hold hundreds, but the congregation is diverse with blacks and whites worshipping together. Communion is passed during “How Great Thou Art” and hands are raised and amens said as the piano is played during the offering. Hixon reminds his congregation that they may be small in number but that God has honored them with a compassionate ministry that can make a big difference. Volunteer. The number of people coming to Bread of Life is growing and more help is needed. To volunteer, show up on Monday at 10AM at the side kitchen door and ask for Lee. Donate toiletries and clothes. There is a big need for men’s socks, clothes and belts but they also give out clothes for women and children. Drop off at the church anytime on Monday or Tuesday or from 10AM to 2 PM on Wednesday. How Do We Protect Those Who Protect Us? You can never know how this thrills my heart. My husband Clayton Hunt had his first ministry at First Christian. He served as youth and educational minister. Lots of changes have happened within these doors. So happy to see the church reaching out to the community.